From nothing, nothing comes. This expression is an ancient form of what today we call the laws of conservation of mass and energy. These laws express that neither mass not energy can be neither created nor destroyed. We may dismiss these statements as mere artifacts of science, removed from our lives here on earth. The expression of literal truth in these statements does not affect only physics or even the study of science in general. The transfer of mass or matter into energy and visa versa underlies the very existence of the planets, the evolution of life on earth, and the life of the human species. When our father Parmenides first taught of the nature of change in what we now call the universe, humans had already understood the logic of the stars in the sky. We forget today that humans have evolved with the book of life literally written in the night sky above. As Plato envisioned in the allegory of the cave found in The Republic, humans would someday find themselves experiencing life by looking at shadows projected on a wall. Unaccustomed to the light of the day above, we spend our lives interacting with the products of other human’s creation. In humanity’s short time in the cave we have used our tools to dissect reality to almost incomprehensible scales of size and of speed. We have learned that there are more stars in the universe than individual grains of sand throughout the entire Earth. We have learned that there are more molecules in a drop of water than there are drops of water in all the world’s oceans. We have spread over the face of the globe, affecting every biological and environmental system. Yet, for all that we have gained by entering Plato’s cave, we have by eating the apple of the tree of knowledge blinded ourselves to the world beyond our own perceptions. What is it exactly you may ask that we have given up? What was this secret that humans living as mammals under the stars had that we have lost? When Einstein stated in his equation E=Mc2 in a literal sense, he expressed a universal truth, not just for physical objects, but of our very everyday lives. The transformation of matter for energy and energy for matter may seem remote; however, it is the very logic of life. When we eat we transform the matter we eat into energy. When we breathe, sleep, think, fight… we transfer energy into matter. What is death then other than a transfer from matter to energy? What is birth other than the transfer of energy into matter? Is there something lost in death? What is gained in birth? In a very real sense, nothing is lost and nothing gained. In the entire universe.. the vast sum of all that exists, has existed, or will ever exist.. nothing is created and nothing destroyed. What of the Big Bang you may ask? 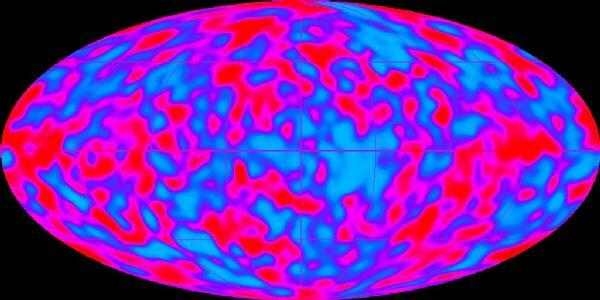 Did not the universe at one time not exist and then come into being and continues to expand? Did not God create the world in seven days? Do not Brahma, Vishnu, and Shiva dance? All I ask is please think of what you believe when you think of the above paragraph. If the universe came into being from nothing, if God created existence from nothing, truly in what sense does the universe of God exist? There can only be two possible solutions.. Either in a very real sense God, the universe and everything in it do not exist; or the way we understand the question is a matter of our perspective and perception. The members of the cave are blinded by the light when the look at reality. How can we then take even humanity’s greatest understanding of the physical and spiritual world and think that we have grasped reality? The understanding of existence as a transfer of matter and energy where nothing is lost and nothing gained points at our highest potential as humans as well as our inescapable limitations. There is cosmic irony in this; yet, it is the very dissatisfaction with this explanation that has driven humanity forward. It is yet to be seen whether we as humans will choose to fulfill its destiny, or whether we sink back into the trillions and trillions of years and light-years of dark, lifeless space. It is a choice for each of us to make each moment. It is this very choice which we know as existence.